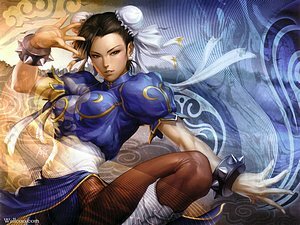 Street Fighter Tribute : Fine art meets martial arts! It's been 20 years since legendary video game developer CAPCOM unleashed Street Fighter upon an unsuspecting gaming public. Since then the game has become a worldwide phenomenon, with the "fighting game" genre now a staple of the video game industry and dozens of memorable Street Fighter characters entering the realm of pop culture. UDON Entertainment's Street Fighter Tribute is a special volume of original illustrations from artists all around the globe, professionals and fans alike, commemorating the 20th anniversary of the Street Fighter franchise. Inside are over 200 brand new pieces portraying the Street Fighter cast in a dizzying array of styles and designs, from ultra-rendered realistic paintings through to abstract and iconic. This is a video game art gallery in a book, bursting with inspiration and energy. Fans of UDON, comics, video games, concept art and anime will all find Street Fighter Tribute an exciting new vision of the World Warriors, brought to you by the studio that introduced a new generation of fans to the magic of CAPCOM.